Throughout the year, employees of TheFireStore pay to wear jeans on Friday and the money is collected to be used towards our annual Shop with a Cop program. The day for the Shop with a Cop event was last weekend and it was a great time! 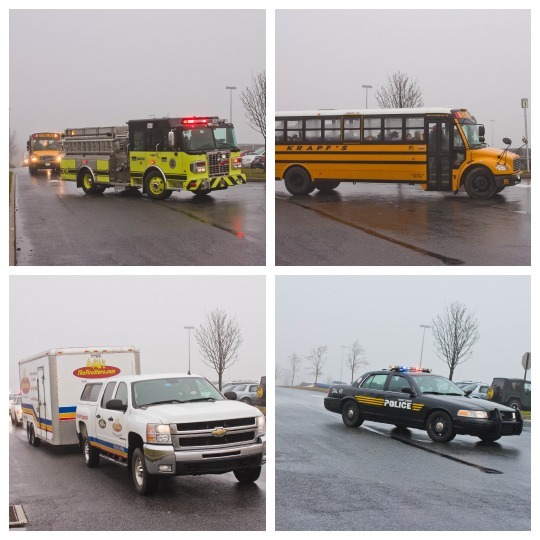 It began with a parade into the local Walmart, with buses full of children, firetrucks, police cars and more. This year, because of the funds raised, so many children from our local city were able to participate in the event! An awesome part of this program is that it really helps the children in the community to look at Police Officers in a positive light, as a helping hand, and as good role models. Each child is assigned an officer to go shopping with. They're given $100 to spend as they choose, and most use it towards Christmas gifts for their family. They spend time walking around the Walmart, meticulously picking out gifts, with their calculators out, keeping tabs as they shop. After the shopping is done, the bags of gifts went back to the warehouse where some volunteers from TheFireStore, from the Walmart, and from our community and churches wrapped the gifts, tagged them, and bagged them. Overall, the 2012 Shop with a Cop event was a total success! It would not be possible without the funds from our Jeans Donations days that go directly to the spending money for the children for gifts. This is just one of the many ways that TheFireStore and it's employees give back. 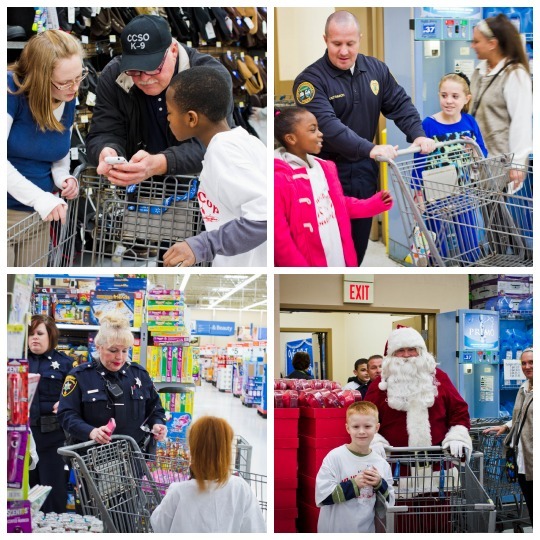 Want to learn more about Shop with a Cop? Watch a video from our CEO.